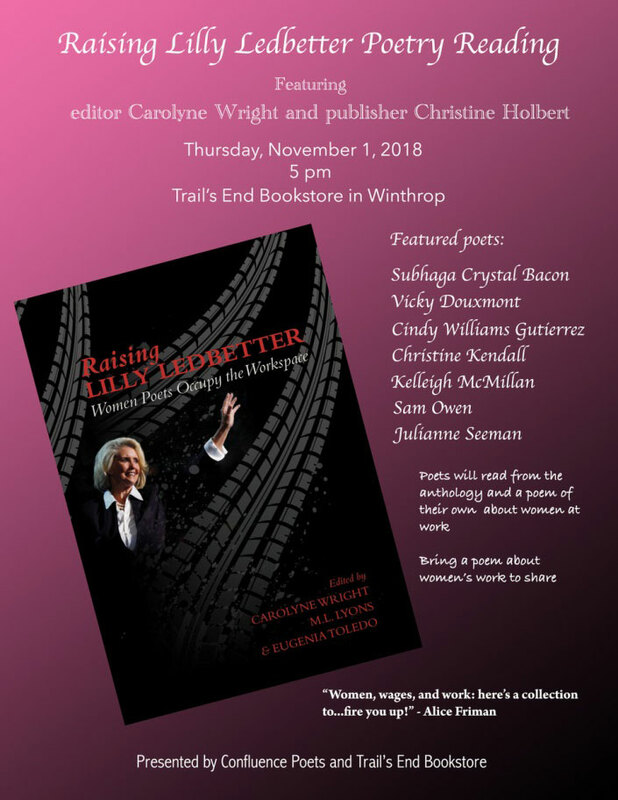 Please join the Confluence Poets with editor Carolyne Wright and publisher Christine Holbert of the anthology Raising Lilly Ledbetter: Women Poets Occupy the Workspace. Stand with us and bring a poem about women’s work to share! DATE: Thurs, Nov 1, 5pm. CONTACT: cindy@grito-poetry.com. LOCATION: Trail’s End Bookstore, Winthrop, WA.